I want to explain a little bit more about why I think the $75 Scrapbooking Starter Kit is such a great deal for you, no matter whether you want to run your demonstratorship as a business, or as a hobbyist. The Standard Starter Kit is regularly $199, and you can see all the contents HERE. This month's Scrapbooking Starter Kit is only $75, and you can see all the contents HERE. The default product choices for the Scrapbooking Starter Kit are pictured above, for your reference. The business supplies are the same in each kit, only the retail products are different. And you do NOT have to make scrapbook pages with the Simply Scrappin'® Kit in the Scrapbooking Starter Kit, so don't let that bother you! There are tons of ideas I can share with you for cards or projects you can make with whatever Simply Scrappin'® Kit you choose! Once you become a SU! Demonstrator, all your purchases are at least 20% off, and you also qualify to get 30% OFF on your first Workshop Order ($150 or more) that you place within 45 days of signing up. - If you get the Scrapbooking Starter Kit for $75, and you want to be a hobbyist who gets their product at a discount, you are set up right away to order at a minimum 20% Demonstrator Discount. - If you want to start a business to generate revenue, once you sign up with the $75 Scrapbooking Starter Kit, you can then plan to order any other startup products you want on your first Workshop Order, and get them at a 30% discount! - Whether you only order products for yourself, or you submit orders from customers, all your sales after the $75 Scrapbooking Starter Kit will count towards your minimum sales quota to keep you active as a Demonstrator! If you want to start a SU! business, it looks to me like the $75 Scrapbooking Starter Kit might cost less than the Standard Starter Kit, even if you place a $150 Workshop Order for basic supplies to get you going! Follow along with my train of thought here...your outlay would be $75 for the Scrapbooking Starter Kit, then you could place a $150 Workshop Order for the basic stamping supplies you'll want for your demonstrations or classes. That's $225, HOWEVER, you are going to get $45 off the $150 Workshop Order (as your 30% discount) if you place it within 45 days. That means your Scrapbooking Starter Kit, PLUS your basic startup supplies will only cost you $180*, which is almost $20 less than the cost of the Standard Starter Kit. PLUS, you will get an additional $15 in FREE Hostess Merchandise on your Workshop Order. Between the items in the Scrapbooking Starter Kit, and the items on your $150 Workshop Order, you should have approximately $250 worth of retail product for an outlay of only $180. And, that total does NOT include the $63 worth of Starter Kit Business Supplies--so it's like you're getting all of those for FREE! PLUS, you will have $150 in sales from your Workshop Order to go towards your minimum sales quota to keep you active! FYI: The minimum sales quota for a SU! Demonstrator is $300 in three months, and the three months are always divided by calendar quarters (Jan-Mar, Apr-Jun, Jul-Sep, Oct-Dec). For brand new Demonstrators, the quota is not enforced until the first FULL quarter you have been a Demonstrator. Therefore, if you join during May, your first $300 in sales will need to be turned in by September 30th. Once you purchase the $75 Scrapbooking Starter Kit, all your catalog purchases after that will count towards your sales quota. So, you are putting out less money to become a Demonstrator, and to get to the point where you can place discounted orders which will count towards you remaining active as a Demonstrator! You decide whether your activity will be hobby, or business (part-time or full-time!). Either way, the $75 Scrapbooking Starter Kit will help you get more out of your Demonstratorship with a smaller investment! Please feel free to call me at 719-205-5957 or email me to get ideas on how to customize your Scrapbooking Starter Kit, and what basic supplies you might want to order on your $150 Workshop Order (if you want to hold workshops or classes). I'd love to have you join my team--there's no experience necessary, I can teach you all the stamping and business stuff you want or need to know! *Please note: prices do not include shipping or tax. Starter Kit orders have free shipping, shipping for Workshop Orders is 10% of the retail merchandise total. 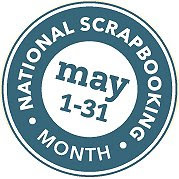 May is National Scrapbooking Month, and Stampin' Up! is offering THREE specials to celebrate! Use promotional products to help you record your memories, or make new memories by becoming a Stampin' Up! Demonstrator at a huge discount :-) ACT NOW--ONLY TWO WEEKS LEFT TO TAKE ADVANTAGE OF THESE GREAT PROMOTIONS! Click HERE to view, or right click to download, a full-color promotional flyer listing all three specials. During the month of May, buy three packages of any Designer Series Paper (DSP) or 12"x12" Textured Card Stock, and get a 4th package FREE! You may mix and match products, so you could purchase two packs of DSP, one pack of Textured Card Stock, and get one pack of *either* product for FREE. Click HERE to view, or right click to download, a PDF file listing all available selections, with colors, patterns, and prices for reference. 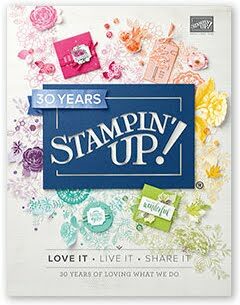 This month, you can become a Stampin' Up! Demonstrator for only $75 with the scrapbooking focused Starter Kit. You don't have to be a scrapbooker, or even use the Scrapbooking Starter Kit supplies for scrapbooking--you can make cards using the supplies! (I can show you how!) As with the Standard Starter Kit, the Scrapbooking Starter Kit is customizable, and contains all the business supplies you would get with the Standard Starter Kit. Click HERE to see the contents of the Scrapbooking Starter Kit, and look for my next blog post for details on how you can use the Scrapbooking Starter Kit to jump start your Demonstratorship. You don't have to run a business with your Demonstratorship, this is a great way to get your stamping and scrapbooking products at a discount. Check out THIS BLOG POST for some great benefits of becoming a Stampin' Up! Demonstrator. If you're ready to sign up right now, just hop on over to my Join Stampin' Up! page and enter my Recruiter Authorization Password: newdemonstrator (all one word, no spaces). If you want to sign up and you have any questions at all, please feel free to call me at 719-205-5957, or email me. I'll be sure to call you back on my dime! The same goes for any of the specials, or any purchase you would like to make through me.--you may shop 24-7 at my ONLINE STORE, or call or email me with your order if you have questions before you place it.